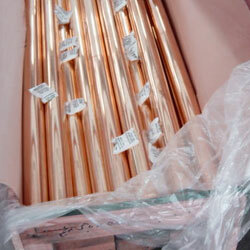 90/10 Cupro nickel tube a 90% copper 10% nickel alloy, which offers excellent corrosion resistance in marine and salt-water environments. Our Cupro nickel tubes 90/10 are widely used in condensers, coolers and heat exchangers where resistance to corrosion and erosion is paramount, yet maintaining a high thermal conductivity rate. We can manufacturer 90/10 Cupro nickel tubes in a range of outside diameter, wall thickness various temper conditions to achieve the required mechanical properties. The mechanical and dimensional characteristics of our products satisfy the most demanding orders that require tight tolerances. 70/30 Cupro nickel tube is a 70% copper 30% nickel alloy, offering improved levels of corrosion resistance in marine and salt water environments over Cupro nickel 70/30. 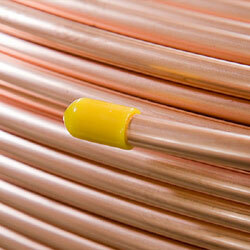 We can manufacturer 70/30 Cupro nickel tube to all specifications in Europe and America. We can rigorously test Cupro nickel tube to make sure they are suitable for the exacting requirement of condensers and heat exchangers. 70/30 Cupro nickel tubes gives the best service life under the most adverse conditions because of improved corrosion resistance. 70/30 Cupro nickel tubes are also used in heat exchangers where severe erosion and corrosion have been experienced, especially at elevated temperatures, high velocities and extreme turbulence of the circulating media. 70/30 Cupro nickel tubes have the highest resistance to stress-corrosion cracking and are available in a variety of outside diameter, wall thickness and tempers to meet your requirement.